One of the most popular ".io games" on browsers and mobile today, Slither.io excels at being an accessible massively multiplayer PvP game that anyone can enjoy no matter their skill level. 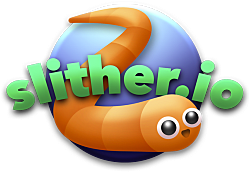 Slither.io pits hundreds of players against each other at a time, with the goal being to grow to become the largest snake on the map and dominate the leaderboard. The leaderboard is only temporary, though, and only the largest snake among all servers is recorded and shown to all. Slither.io's control system is even simpler than other .io games. PC browser players simply use their mouse to control their snake's movement and click to boost, while mobile device players direct the snake with their finger and tap to boost. Boosting is the only ability players have in-game and is both their defensive and offensive ability. One can boost to try to cut other players off and have them run into their bodies and die, or they can boost to get themselves out of danger. Those who remember the classic game Snake will be familiar with Slither.io's general gameplay. While in Snake you must avoid touching your own body, in Slither.io you must avoid letting your face touch the bodies of other players. Doing so leads to death--and death leads to a massive amount of food for other players to eat and grow themselves. As with other .io games, once you die in Slither.io you have to restart. There is no sense of progression and cosmetic skins are unlocked simply by sharing the game on Facebook or Twitter. Skins offer no gameplay advantages but instead let players show off their individuality in-game. While the gameplay itself is simple Slither.io is not an easy game to dominate the leaderboards in. Skill is a definite factor but luck, such as being in the right place at the right time, is a huge factor in how successful a run will be. Furthermore if a player spawns in an unfavorable area or does not get lucky early on, it's often best to die and hope to spawn in a spot on the map where more action is going on. Intrigued by the Slither.io secret level, don't fall for the hype! Want to get a good look at every skin in Wormax.io? Here you go! Wormax.io is gaining some traction, what does this Slither.io clone bring to the table? In an environment of identikit games, Mope.io stands out from the crowd. There isn't a new Slither.io game -- but there is a new worm game in town that could dominate it completely if it had online play. Slither.io isn't that unique. Here's a few other games exactly like it. There are more .io games than the big three and these two are on the way up. Start your limax-murdering rampages off right with these tips. What is Limax.io? It may be the next big .io game. Games like Snake.io and Crawlio are popular on Google Play, but something isn't quite right about them. Connecting to and playing with friends in Slither.io is easier than you think. Worm.is does some new things with the Slither.io formula that may be more your style. This extension gives you the ability to zoom in and out in Slither.io.